ISRA VISION AG (ISIN: DE 0005488100), one of the world’s top companies for industrial image processing (Machine Vision) as well as globally leading in surface inspection of web materials and 3D machine vision applications, once again reached the forecasted annual target – after audited, but not yet certified figures – and concluded the financial year with a strong fourth quarter. With a revenue growth of 10 percent to 112.2 million euros (FY 13/14: 102.5 million euros), the company underscores its robust strategic positioning and profits from the expected economies of scale after reaching the revenue goal of 100+ in the 2013/2014 financial year. An increase of EBT (Earnings Before Taxes) by 14 percent to 21.8 million euros (FY 13/14: 19.1 million euros) serves as the basis for continuing further profitable growth. The EBT margin referenced to total output improves by one percentage point to 18 percent (FY 13/14: 17%), referenced to revenues it is at 19 percent, the same value as in the previous year. Given the continued high level of equity and the available credit lines, ISRA is equipped with solid capital resources. Earnings per share after taxes (EPS) increase to 3.39 euros (FY 13/14: 2.97 euros). In the financial year 2014/2015, the company further strengthened itself structurally and strategically. With 35.9 million euros, the revenues in Q4 are 10 percent higher compared to the same period of the previous year (FY 13/14: 32.7 million euros). The annual revenues also increase by 10 percent to 112.2 million euros (FY 13/14: 102.5 million euros). With a plus of 12 percent, the EBITDA (Earnings Before Interest, Taxes, Depreciation and Amortization) reaches 32.4 million euros (FY 13/14: 28.8 million euros), which results in an increase of the EBITDA margin by one percentage point to 26 percent referenced to total output (FY 13/14: 25%). EBIT (Earnings Before Interest and Taxes) also improves by 13 percent to 22.6 million euros (FY 13/14: 20.0 million euros), which corresponds to an EBIT margin of 18 percent referenced to total output (FY 13/14: 17%). EBT (Earnings Before Taxes) climb by 14 percent to 21.8 million euros (FY 13/14: 19.1 million euros). The gross margin (total output minus cost of materials and cost of labor in production and engineering) rises by 9 percent to 61 percent (FY 13/14: 60%) and confirms the tendency of the previous quarters. The order entries in the fourth quarter and the cash demand associated with it for production resulted in a lower operative cash flow of 12.4 million euros (FY 13/14: 19.8 million euros) as of the reporting date. Overall, the 2014/2015 financial year ends with a net cash flow of 3.9 million euros (FY 13/14: 1.6 million euros). The developments in the different regions continue the positive tendencies of preceding quarters. In America, ISRA recorded a significant growth, driven by the good order situation from the United States as a result of intensive sales activities. For the upcoming months, the company anticipates a continued positive course of business in the American markets. The demand from China was successfully supported by extensive measures in marketing and sales. Together with Taiwan and Korea, China contributes to increase Asia's revenue share with double-digit growth to approx. 40 percent. In Europe, ISRA achieved revenues at the high level of the previous year – Management expects an increase in demand from individual strategic countries in the next quarters. The regional expansion and the reinforcement of international locations remain an important part of the company strategy. In this context, the infrastructure of the presence in Shanghai is being extended and the market entry in Mexico has started. Also in the 2014/2015 financial year, ISRA further expanded its market position in the two segments Industrial Automation and Surface Vision. The Surface Vision segment shows a growth of 11 percent, resulting in a revenue growth to 85.6 million euros (FY 13/14: 77.4 million euros). EBIT improves by 15 percent to 17.2 million euros (FY 13/14: 15.0 million euros), which corresponds to a margin increase by one percentage point to 18 percent referenced to total output. The Plastics unit is one of the major growth drivers in the financial year and contributed profitably to the annual result with double-digit rates due to a consistent expansion of the application portfolio to new materials. A similar strong development comes from the solar business which continues the high revenue level of the previous quarters with a growth in order entries – particularly from Asia. The company records an increased demand not only on the North-American market, but also on the Chinese market – ISRA currently expects the written order for a framework contract regarding quality control of solar cells in the lower single-digit million range. The order dynamics in the metal industry show a signifi-cantly positive development due to activities in marketing and sales; strategic large-scale orders from China confirm the trend. After the successful market launch of the expanded Print product portfolio and the acquisition of Vision Experts, additional investments in marketing and sales will further strengthen the market position in this sector. With the advanced diversification of the product range for the inspection of security paper, the company expects new revenue impulses from strategically important key customers in China and the United States in the short-term. The still new semiconductor business, which started successfully with a follow-up order by the first customer, will be strengthened by the initial setup of the sales department. In this stage, the first focus will lie on European markets. Given the double-digit share in revenues, Support and Service remain a strategic growth area with significant potentials in all regions. The revenues in the Industrial Automation segment, whose customer base particularly consists of premium car manufacturers, were increased by an additional 6 percent. With 26.6 million euros (FY 13/14: 25.0 million euros), they are at the high level of the previous year. Order entries, on the other hand, show strong double-digit growth rates. The EBIT of the segment increases by 7 percent to 5.3 million euros (FY 13/14: 5.0 million euros), thereby reaching a margin of 19 percent referenced to total output (FY 13/14: 18%). Besides the business with optical solutions for 3D measurement and the Plug & Automate product family, particularly the demand from customers in the automotive industry showed a significant increase. This was confirmed, among other things, by a large-scale order from a Chinese joint venture. Currently, new growth impulses can be outlined from orders coming from the United States and Asia. strategy. After the acquisition of Vision Experts GmbH in August 2015, additional acquisition targets are currently being analyzed in order to develop new revenue potentials. Provided that the outcome is positive, the conclusion of a project is planned for the current 2015/2016 financial year. ISRA started successfully into the first quarter of 2015/2016 with an again high order backlog of over 80 million euros (PY: approx. 57 million euros). The company responds to the inconsistent developments in various regions or segments by intensifying the marketing and sales measures as well as innovations. In addition to the expansion of new, strategically important customer markets, optimizing the cash flow as well as the working capital remains at the center of the management activities. The Executive Board assumes that a dividend at least in the same amount of the previous year will be paid. For the current financial year, ISRA anticipates a continued profitable growth in the double-digit percentage range. In terms of profits, plans provide for further optimization of the margins, while at least maintaining the current high level. Similar to the previous years, the company will publish a detailed forecast in February 2016. By focusing on innovations and efficiency as well as strengthening individual regions, ISRA is actively preparing for the medium-term targeted revenue dimension of 150 million euros. 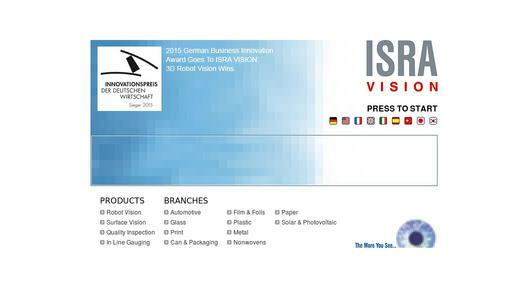 ISRA VISION AG, together with its subsidiaries, is worldwide leading in surface inspection of web materials. Furthermore, it is one of the globally leading providers of machine vision programs, specialising in the area of 3D machine vision, in particular for "3D robot vision". The core competence of the company is the ISRA-BrainWARE®, an innovative software for intelligent machine vision systems. Here, the scientific know-how from the fields of optics, lighting technology, surveying technology, physics, image processing and classification algorithms and a complex system design are combined. 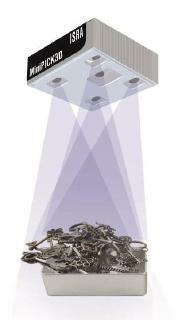 Machine vision is a key technology for visualising systems that imitate the human eye. Today's ISRA applications focus primarily on the automation of production and quality assurance of goods and products supplied to large, future-oriented markets such as energy, healthcare, food, mobility and information. The customers mainly include renowned global players from the respective sectors. With more than 25 locations worldwide, ISRA offers customer proximity everywhere and ensures optimum service and support. In the past seventeen years, ISRA has shown profitable growth with an annual average increase in sales of approx. 25 percent. Currently the company employs approx. 600 people worldwide. Further information are available at www.isravision.com.